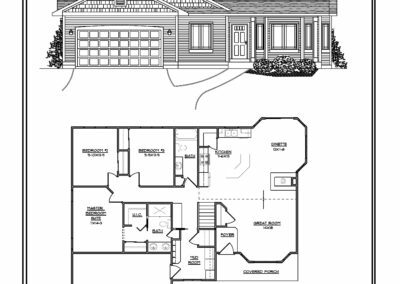 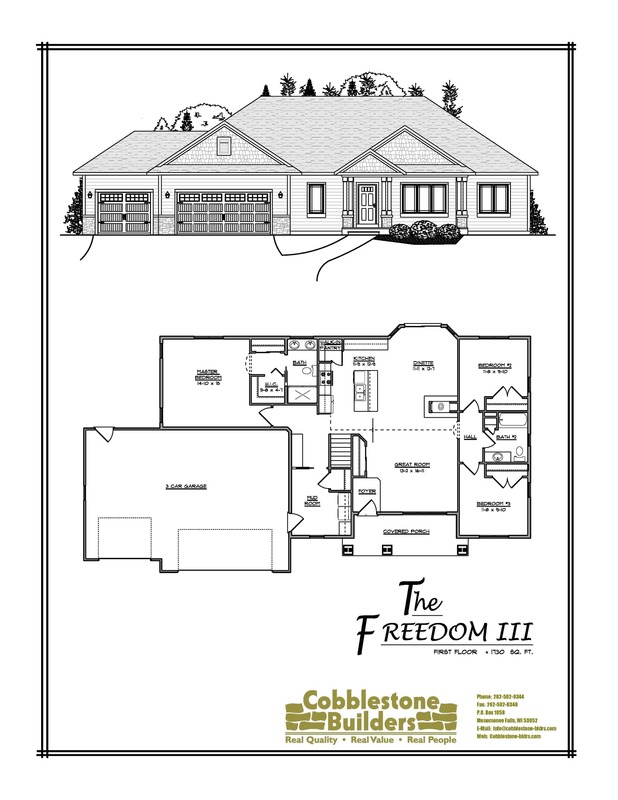 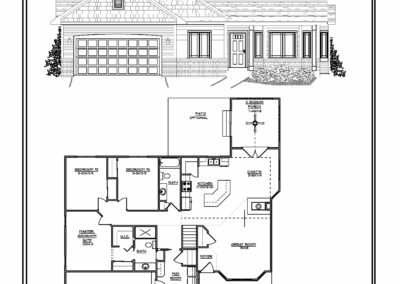 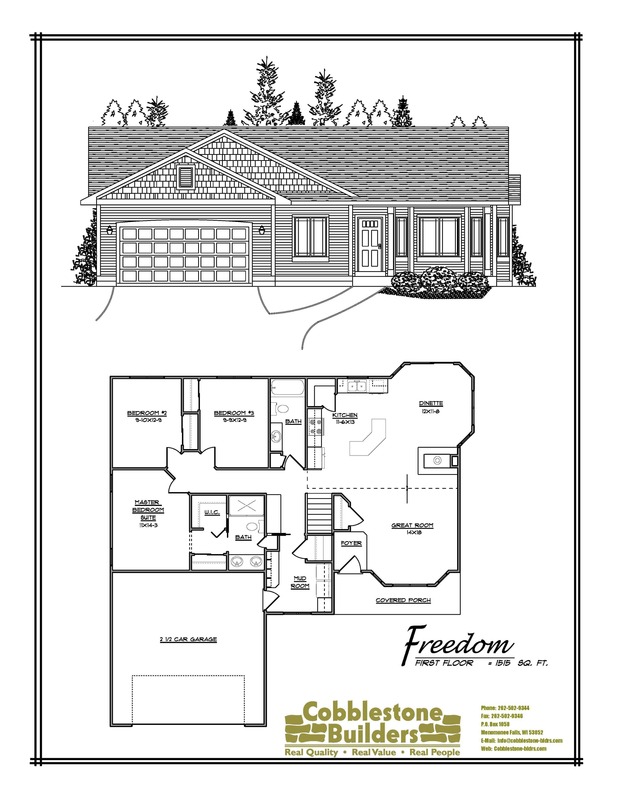 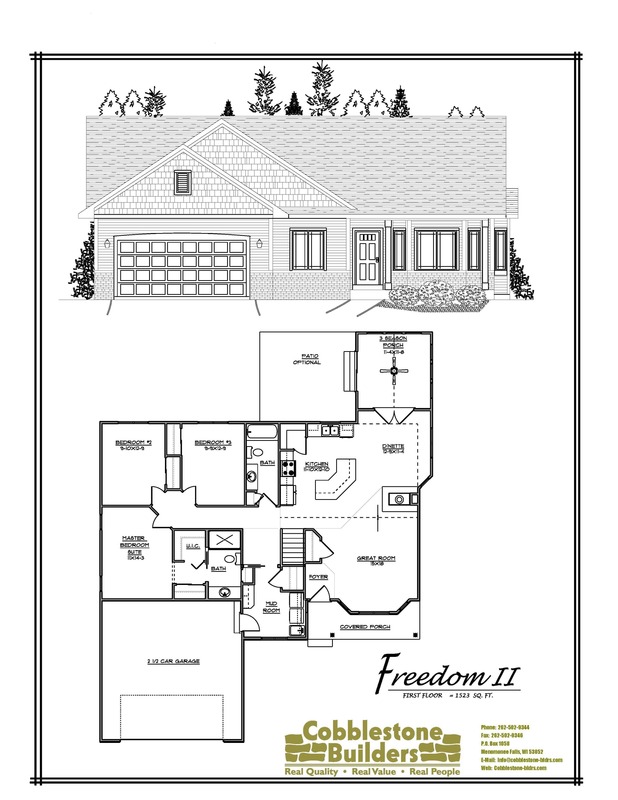 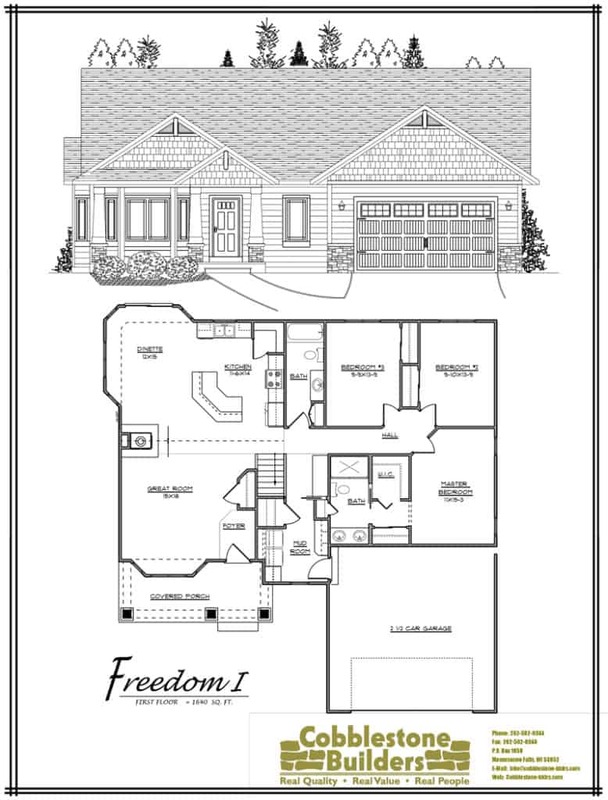 The Freedom I Ranch is a 1,640 square foot Craftsman styled open concept jewel that’s just right for those that are looking for a just a bit smaller home with amenities and great design. 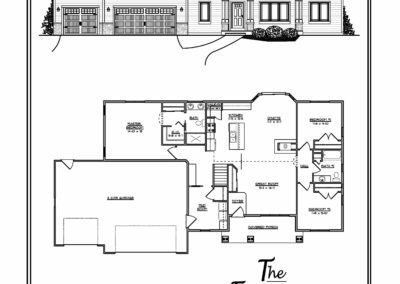 Efficient use of space with all the bells and whistles that homeowners are looking for in today’s homes. 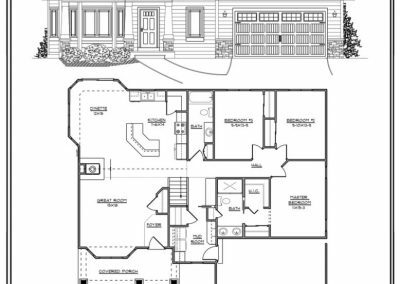 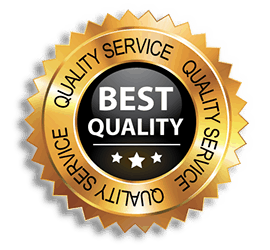 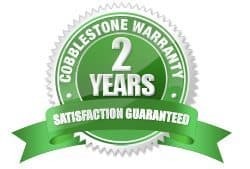 OTHER FLOOR DESIGNS ELEVATIONS AND SQUARE FOOTAGES FROM 1,515, 1,523 AND ALSO A 1,730 SPLIT BEDROOM ARE AVAILABLE FOR THIS MODEL – CALL US FOR DETAILS!